BitcoinNews.com (also referred to as “BitcoinNews”, “Website”, “Site”, “we” “us”) respects the intellectual property rights of others and expects its users to do the same. In accordance with the Digital Millennium Copyright Act of 1998, 17 USC § 512(c)(3) or its equivalent in the EUCD ( European Union Copyright Directive) and International Copyright Laws, BitcoinNews will respond expeditiously to claims of copyright infringement on the Website, if such claims are reported to our Copyright Agent. If you are a copyright owner, authorized to act on behalf of one, or authorized to act under any exclusive right under copyright, please report alleged copyright infringements taking place on or through the Site by completing a Notice of Alleged Infringement and emailing it to our Copyright Agent by mentioning “Copyright Infringement” or “Copyright Infringement Notice” in the subject line. Upon receipt of Notice as described below, the Website will take whatever action, in its sole discretion, it deems appropriate, including removal of the challenged content from the Site. Please note that if you fail to comply with all of the requirements of this section and of relevant copyright laws, your Copyright Infringement notice may not be considered as valid. 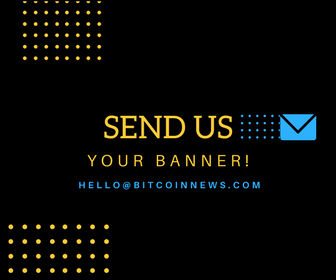 Send the Notice, with all items completed to contact[at]bitcoinnews.com with “Copyright Infringement” or “Copyright Infringement Notice” in the subject line. Your name, address, telephone number, and email address, a statement that you consent to the jurisdiction of the courts of Belize City, Belize, and a statement that you will accept service of process from the person who provided notification of the alleged infringement. If a Counter-Notice is received by the Copyright Agent, BitcoinNews may send a copy of the Counter-Notice to the original complaining party informing that person that it may replace the removed content or cease disabling it in ten business days. Unless the copyright owner files an action seeking a court order against BitcoinNews or the person who has posted allegedly infringing content, the removed content may be replaced, or access to it restored, in ten business days or more after receipt of the Counter-Notice. BitcoinNews does not condone or tolerate copyright infringement or any violation of the intellectual property rights of the Website or of others. BitcoinNews reserves the right to terminate access by disabling the account or block a particular IP address or email address of any person who is determined to be a ‘repeat infringer’ of intellectual property rights of the Website or other parties.